Note: Actual product may not be exactly as shown. SHARP precision barrier tips eliminate false signals and cross contamination caused by aerosols. 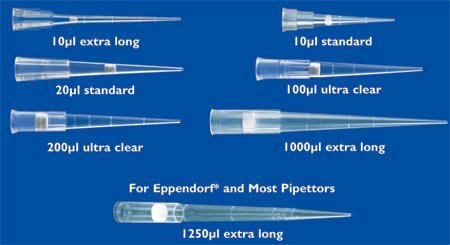 SHARP tips feature Denville's new low retention polymer technology that virtually eliminates sample retention. Our inert hydrophobic barrier prevents pipettor contamination without trapping liquid or contaminating samples. These tips provide the most accurate sample delivery in the industry. They contain no nucleic acids, PCR inhibitors, detectable nucleases or endotoxins. All sizes are natural color, presterilized and free of metallic content.